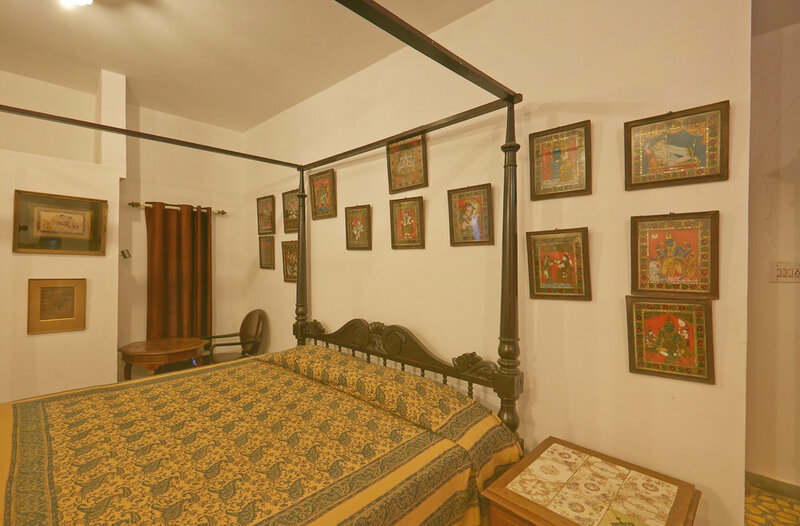 Enjoy the ambience of a traditional south-indian house in the banks of the cool and calm natural pond as you dwell into the distinct charm of the authentic Indian heritage. Retreat to one of the best homestays near Bangalore at The Tamarind Tree. Surrounded by lush greenery and a natural pond, and adorned with a blend of vintage and modern architecture that lend picturesque backdrops, your stay at The Tamarind Tree promises to deliver service excellence for relaxing holidays, rejuvenating wellness retreats, seamless conferences, and fairy-tale weddings.